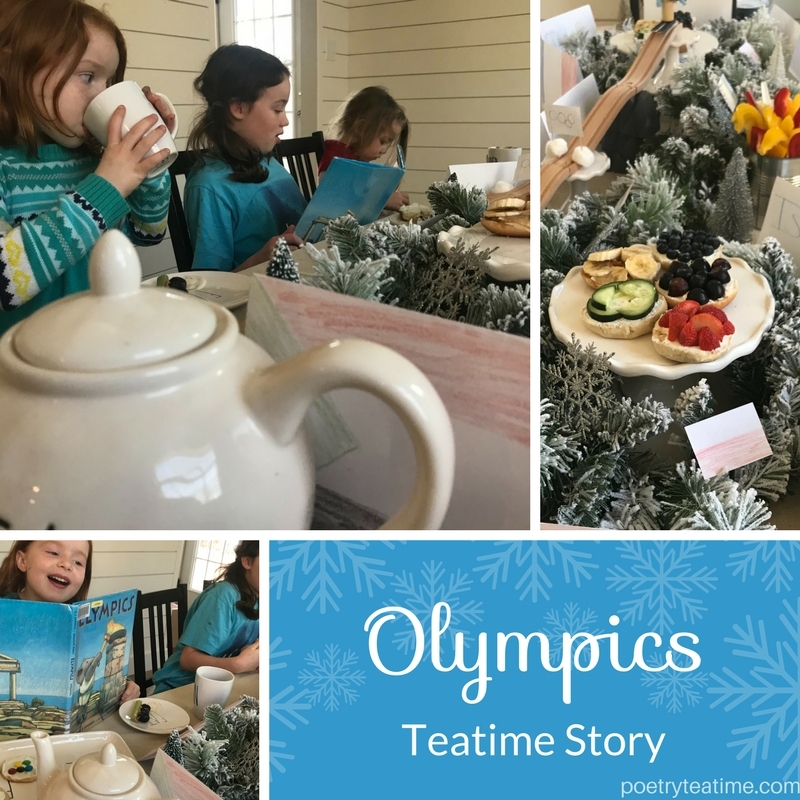 Here is a look at our Winter Olympics Poetry Tea time! 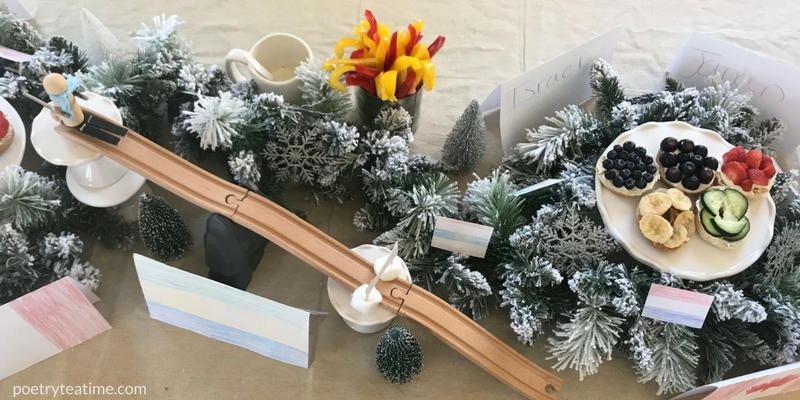 We brought out the winter décor, and made an Alpine Ski Jump. We made an Olympic flag over the ski slope. The entire scene is adorned with Flags from around the World. We have an Olympic torch, and placed our veggie dip in a mug saying "dream," because every athlete had to go after the dream to becoming an Olympian. We started our reading out with a poem called "It Couldn't Be Done" by Edgar Albert Guest. It was a great little poem about pressing in and doing the difficult things, that people tell you can never be done. We followed that up with a fun little elephant Olympics themed poetry book. My four year old always grabs the books and makes up her own poetry by the pictures, and my other children LOVE when she does that. This was a very fun theme to do, and I am so glad we did this one! Thanks for sharing! 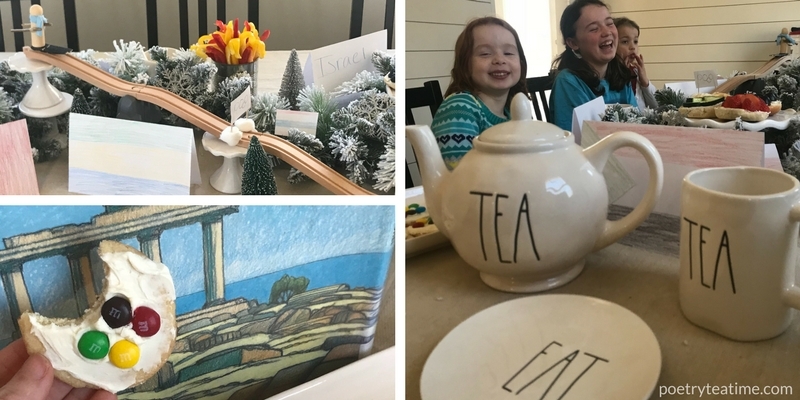 For more ideas on having your own Olympics-themed teatime, check out this Winter Olympics Themed Teatime. 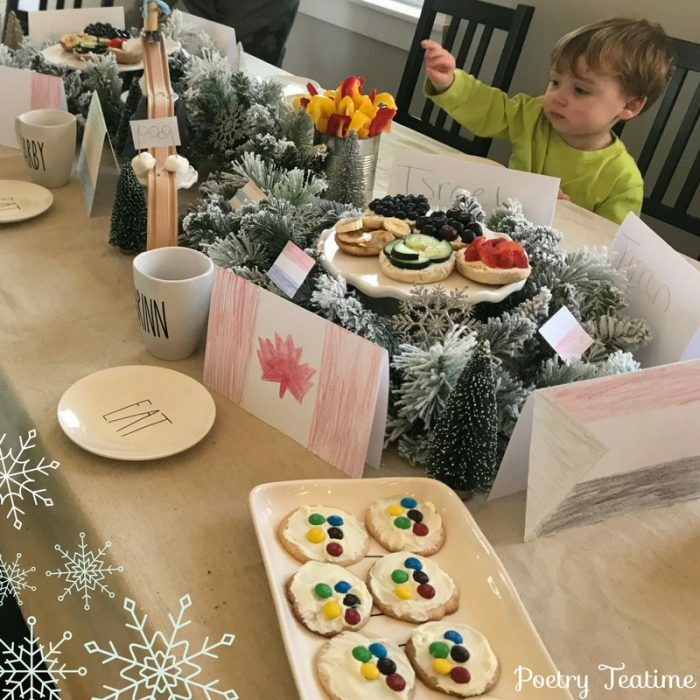 And be sure to submit your own Poetry Teatimes here for a chance to be featured on the blog!